All floor scales are not alike. Pennsylvania 6600 scales are designed with features that outperform the competition. Premium black powder coat finish (mild steel models up to 60 x 60" 10K capacity). Premium load cells, wide range of capacities, platform sizes from 24 x 24" to 96 x 120" and capacities to 40,000 lbs. *MS6600 shown w/ optional ramps -- Believe it or not, there's even a difference in RAMPS: Pennsylvania's loading ramps have UNIQUE knuckle-saving Hand Holds, attachment brackets, and bolt down tabs as standard equipment. Premium powder coat finish up to 48" x 48" models. Order a Pennsylvania Model 6600 w/ Digital Readout and it will come to you factory calibrated with digital indicator carefully packaged. 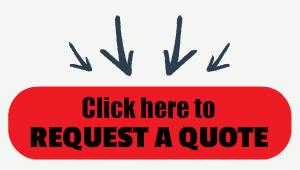 Once you receive it -- plug 'n play! For Weighing and Counting applications, the value priced easy-to-use 7500+ and enhanced input 7600+ models are ideal: Factory calibrated with Quick Disconnects, they are ideal universal indicators that are as easy to use as they are accurate. Standard SS enclosure with U-bracket for shelf or wall-mounting. Standard RS-232 with programmable formatting. Weigh in 2 units (Lbs/Kgs) standard and suitable for Commercial Applications upto 10,000 counts. For High Capacity weighing applications, Batching, and Truck Scales, choose the 7400+ (5-button front panel) and 7600E weight indicators: Optional setpoints with easily programmable sequencing, 2 independently programmable data outputs, optional Ethernet and Analog Output (0-10 VDC or 4- 20 mA) interfaces plus standard Truck In/Out program that has 300 Tare memories, you can't beat the 7600E for solid value and off the shelf flexibility for a wide range of environments and applications. For Dual Base Counting and Weighing (SAMPLE-TO-BULK operation), you can't beat the package of our 7600DB Counting Scale precalibrated to any Pennsylvania Scale platform or base. Ships skidded and precalibrated, ready for set-up-- plug and play right off the pallet! Compare construction, finish, Warranty, features, reputation, and long life design-- our 6600 Series outperforms the competition and provides least life cost and extended operation. The perfect blend of value and performance. 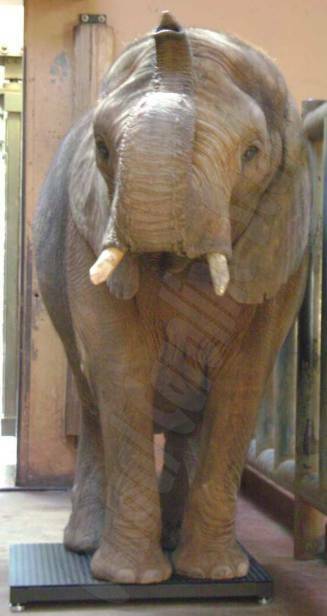 There are even zoo's that are using the tough 6600 platforms to weigh elephants! 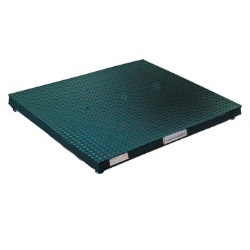 Include Stainless Steel load cells and smooth plate (sand texture) top plates or optional Diamond Plate top surfaces, remote SS Summing boxes for mounting away from submersion and premium SS load cells, fasteners suitable for wet or washdown environments. Standard sizes and custom sizes.